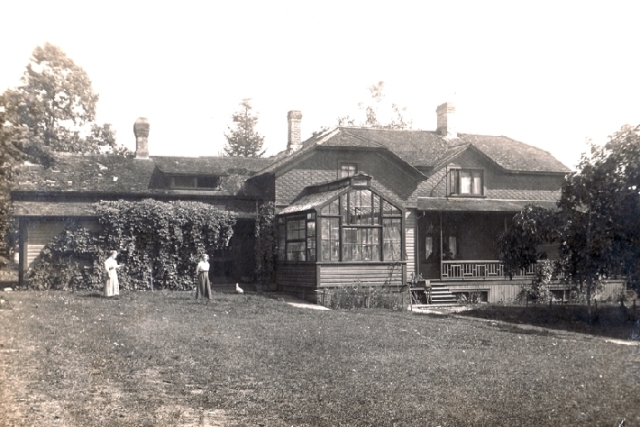 Home of the Gilchrist family – Kildonan Lodge – in about 1900. The Gilchrist family was one of the earliest families to live in Ruskin. According to Gordon Byrnell, George Gilchrist was one of “the earliest settlers in the district west of the Stave River and to the north of what is now Ruskin… Mr. D. Gilchrist later sold out also and came to Ruskin.” The three Gilchrist brothers—Donald, Alex and George—came to the area from Caithness, Scotland. In 1892 Donald established a homestead near Stave Falls. Later on, all three brother got together to buy a large amount of farm land on the Fraser River. Alex ran the farm, as he was previously working on a ranch in the Cariboo, while Donald and George worked at Roger’s Sugar Refinery in Vancouver to earn money for the trio. In 1903 the brothers acquired the Whetham property, and the family moved into the home there which they then renamed the Kildonan Lodge. Donald became the greenhouse specialist while George ran a small bakery from the house. The Gilchrist family was a staple in the Ruskin community, and were excellent examples of how it’s tight knit citizens would come together to help each other out. For instance, in April of 1923 both Dan (Donald) and Alex Gilchrist helped out with the shingling bee for the new Ruskin Hall, along with Mr. George, Mr. W. Lang and Mr. C. Grey. 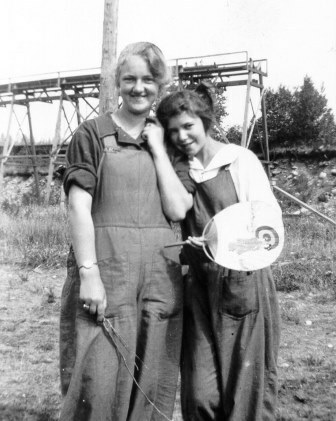 The couple’s daughter Dorothy Elizabeth Gilchrist was a teacher by training, and in the 1920s she taught in a school in Nelson. In January 1935, Dorothy married Mr. Albert Foley of New Liskcard, Ontario at St. Patrick’s Church in Haney. The couple then moved to their new home in Portland. George Gilchrist married Benjamina Laing and they had two children – son Hugh Alexander and daughter Elizabeth Mildred. George passed away on September 5th, 1940.